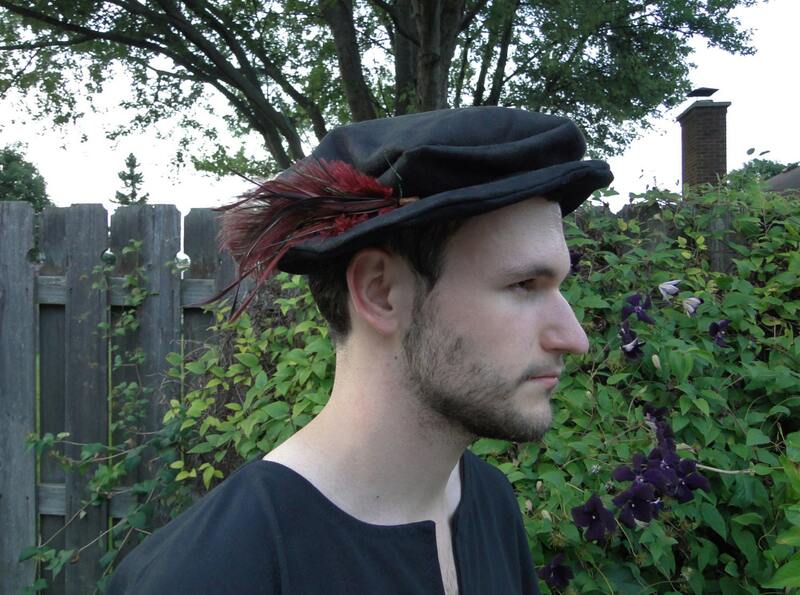 Renaissance Hats - Medieval Mens or Womens - Lots of Color & Fabric Choices! 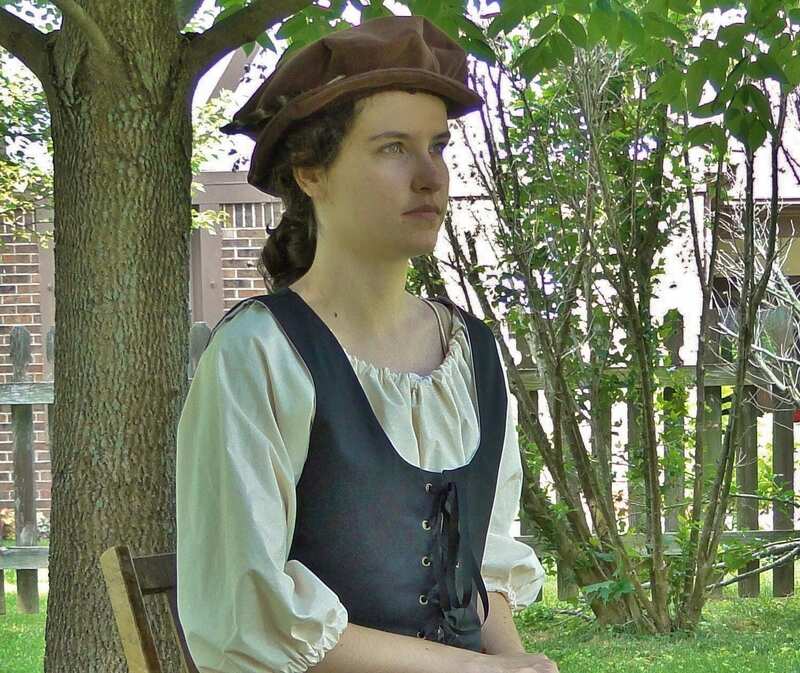 Classic Medieval style hat, perfect for Renaissance Fair costumes! Comfortable soft fabrics, adult one-size-fits-all, great for men or women. 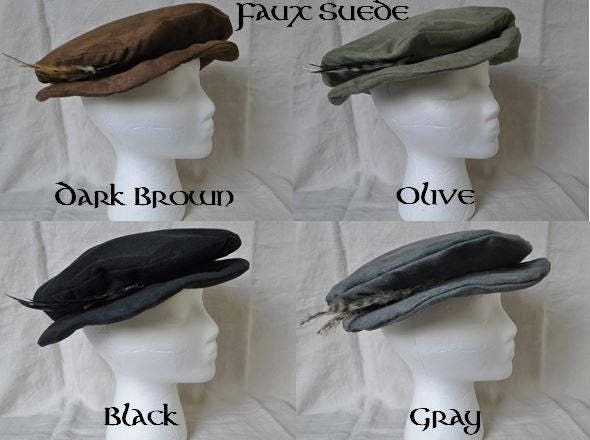 Hats are lined, available in linen or faux suede fabric. 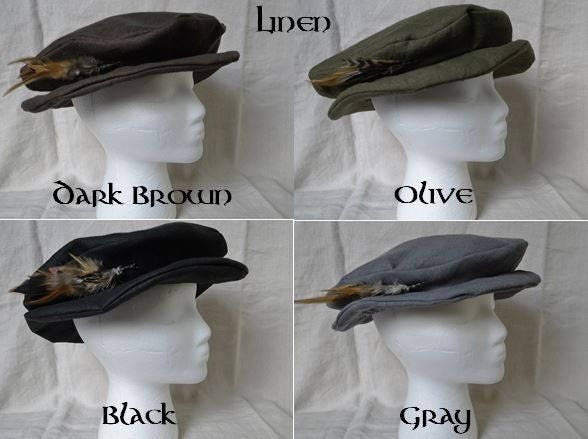 All hats are adorned with real natural colored bird feathers. 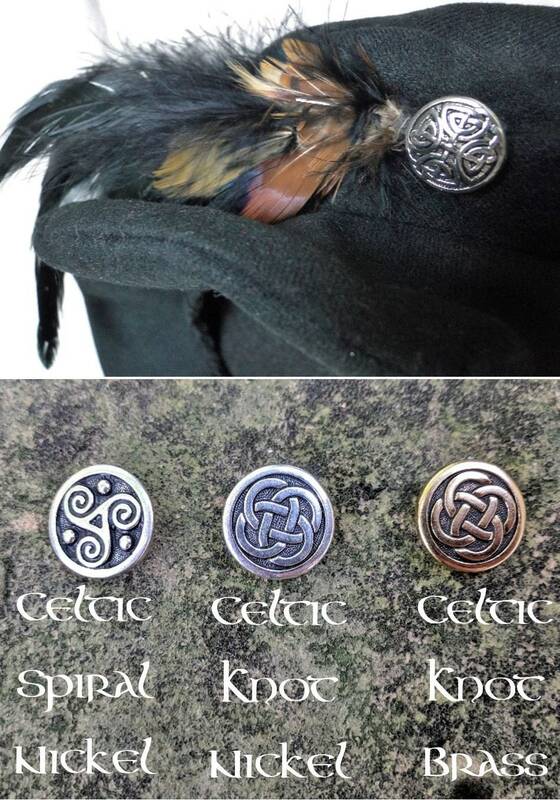 You can choose to also have a Celtic button added if you wish. Inspired straight from history, great for woodsman, peasants, nobles & other common Medieval folk alike! Fits average adult head size of 22.5"-23.5". If your head is much smaller or larger than this range, contact us for a custom size hat. 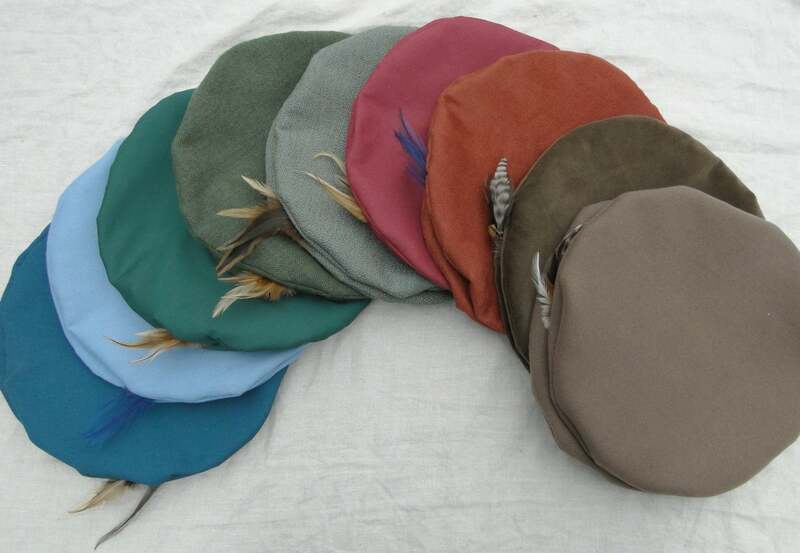 See all our Medieval hats available in our shop! Absolutely excellent. Not itchy like a lot of costume hats. Breathable in the Arizona Heat, and still very stylish. Would recommend to anyone looking for a hat like this. I only wish it came in more colors like the picture. I don’t know if I could keep myself from buying more of it did! Outstanding product and shipped super fast!!! Nice hat. Goes well with my garb.